On May 9, 2015 millions of Europeans and people from around the world will join Russia in commemorating the 70th anniversary of the sacrifice of the millions who fought and died to bring down the Third Reich and end Hitler’s expansionist whims. It was on this day 70 years ago that Nazi German military forces surrendered to the Soviet army. By the end of the war, some 27 million Soviet citizens – incluing more than eight million soldiers – had died fighting the Nazis. Below are republished accounts which first exclusively appeared on The BRICS Post in May 2013 from both the battle and home fronts during World War II, stretching from the Nazi invasion of the Soviet Union to Berlin’s downfall. On June 22, 1941, over 4.5 million German and Axis troops from Nazi-held Poland, Finland and Romania invaded the Soviet Union in an attempt to conquer territories and seize control of its valuable oil and gas resources in the Caucasus. Adolf Hitler’s ambitious plan of invading Russia, called Operation Barbarossa, stretched across nearly 3,000 kilometres and was meant to last 12 weeks. Germany deployed a massive force of more than 3,000 tanks, nearly 3,000 aircraft and 7,000 artillery pieces. Soldiers from Italy, Slovakia, Finland, Croatia, Romania, and Hungary supported Hitler’s forces. The Soviet Union was not prepared for this onslaught. The German art of warfare – blitzkrieg – drove through Soviet defences with overwhelming success; by July, the Germans had advanced 350 kilometres, killing at least half a million Soviet troops. The German Luftwaffe, which still dominated Europe, managed to shoot down more than 4,000 Soviet aircraft. Nearly three million Soviet soldiers were captured. Most would never live to see the end of the war. Nothing, it seemed, could stop the Nazi onslaught. 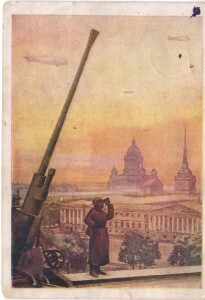 Within six months, the Germans had laid siege to Moscow. “A lot has been said about the reasons behind Soviet defeats in 1941. But it is all very simple – they were stronger then we were,” says Alexander Sagomonyan, Professor of Historical Sciences with the faculty of Global Studies at Moscow State University. “Germany accumulated human and material resources of the entire Europe. Nine countries entered the war against USSR along with Hitler. When Hitler defeated France, they found the vast oil reserves that supplied Germany’s troops all through 1941-42,” Sagomonyan said. But the Soviets had an ally, which had saved them more than 130 years earlier – Russia’s harsh winters. With the Red Army digging in behind three defensive lines and the German supply line disrupted by heavy snow, the advantage was slowly turning in favor of Stalin’s forces. By early January 1942, the Red Army was launching counter-offensives to push the Nazis back. German forces were also taken by surprise when Soviet forces arrived from the USSR’s Far East. This proved to be the first major defeat for the Germans; three German armies were nearly surrounded. “In December 1941, the Soviet defensive effort frustrated Hitler’s attack on Moscow. That was a great moral success – Germans were pushed by 140 kilometers from Moscow,” Sagomonyan says. But it would be Stalingrad where Hitler would throw everything he had on the Eastern Front; and it would be Stalingrad where the Great Patriotic War would prove decisive. Some historians believe Hitler didn’t have to besiege the city; that he could have kept going for the Caucasus and their oil fields, secured those first and returned for Stalingrad. But the allure of seizing the city named after the Soviet leader proved too much for Hitler. Starting in August 1942 and through most of the Autumn, following fierce bombing raids by the Luftwaffe, the Germans began to seize most of the city except for a pocket of defenders on the west bank of the Volga River. Stalin had given strict orders that the city must not fall. He issued Decree 277 – known as the “not one step back” policy; soldiers seen to be retreating or running away were to be immediately executed by their commanders. “In 1942, the USSR made a significant strategic mistake and the Red Army was defeated in the Crimea and near Kharkov; the South-West front was destroyed. After these failures the discipline was falling apart, troops started to retreat without resistance to Stalingrad. It was a huge demoralization. Thus, Decree 277 was very right on time – Stalin made troops believe that the Soviet Union would win,” Sagomonyan says. But some have pointed to Decree 277 as prove of Stalin’s ruthlessness against his own people. Nevertheless, Mikhail Myagkov, the Head of the Science Department at the Russian Military Historical Society, believes that Decree 277 was inevitable because the Soviets had lost so much territory. Defeat would have meant the death of the whole country, he says. “The meaning of the decree doesn’t lie in the plane of repressive policy, but raising the spirit and firmness of the Red Army, when further retreat would mean imminent death of the soldiers’ families under German occupation. Repressions played a role influencing firmness of the Soviet soldiers, but they didn’t have a decisive role in winning the war,” Myagkov told The BRICS Post. Whether it was patriotism, the stubbornness of the Soviet fighter, or Decree 277, the Red Army and a legion of civilian volunteers managed to frustrate Hitler’s finest. German troops had to fight house to house, street to street, sometimes advancing mere metres only to lose ground in small counter-offensives launched by the Russians. Realising that losing Stalingrad would mean a major defeat in morale, Stalin appointed Zhukov, who had orchestrated the Soviet victory at Moscow, to retake the city. Zhukov brought to bear nearly one million soldiers, supported by nearly 900 tanks and more than 1,000 fighter aircraft, to surround the city. 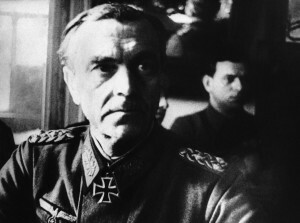 German Field Marshal Friedrich von Paulus, in command of some nearly 300,000 German troops in Stalingrad, realised he was about to be trapped. He urged Hitler to allow him to break out of Stalingrad, an operation that would see him lose many of his troops, but keep the army intact. Hitler refused. Zhukov realised that he was on the verge of a major victory that could turn around the war, at least on the Eastern Front. “Stalingrad – is now seen as the start of the Turning Point, when it became clear who will win the war. And the end of the Third Reich as well,” Sagomonyan says. By the end of December 1942, the Germans realised that their window to escape Stalingrad had come and gone; they hunkered down, losing thousands to the harsh Russian winter. Efforts to break Zhukov’s encirclement failed. On January 31, 1943, Von Paulus defied Hitler’s orders to fight to the last man and surrendered, along with his remaining 90,000 troops. The Red Army had won Stalingrad and broken the back of the Third Reich’s finest soldiers. “Stalingrad became the culmination of the Turning Point. As of that moment, the defeat of Germany was inevitable,” Myagkov said. “The word Stalingrad is now part of Russian people’s genetic history. Tragedy, bitterness of a loss and great victory are tied in one in this word. As it was 70 years ago, Stalingrad today is an example of the great feat of our people who gained probably the greatest victory in our history,” Myagkov adds. Most historians believe the Battle of Stalingrad to be the most decisive engagement during World War Two. With Paulus defeated – he defected to the Soviet side shortly after capture – there was no significant German military presence that could prevent the Red Army from recapturing all territory including marching to Poland. The liberation of Eastern Europe was now beginning. “Liberating Eastern and Central Europe, the USSR lost 1 million soldiers; 600,000 of them died liberating Poland. This is the price paid for the freedom of independent sovereign states, the attitude of which towards Russia is quite dubious today. Reminding people today of this price is the task of Russia’s Military Historical society,” Myagkov said. The Red Army lost 8.5 million troops – a figure comparable only with German losses. Another 18 million were civilians who died as a result of Hitler’s genocide. “This victory is the pride of the current generation of Russians,” Myagkov said. “The Red Army was the only army in the world that didn’t disperse under a German offensive. Poland was defeated in two weeks, France – in four. That is why Victory Day Celebrations are so massive in Russia – nobody else suffered such huge losses as we did. Denmark fought for an hour-and-a-half and lost 36 people. And it was only the Red Army that sustained the Nazi attacks,” Sagomonyan says. Thanks Daria. Some things need to be reminded constantly.